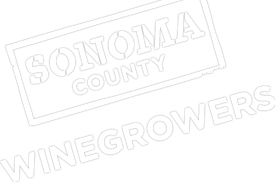 Join Sonoma County Winegrowers for our largest annual meeting, the 29th Annual Dollars & $ense Seminar and Trade Show in January 2020 from 7:00 am – 1:30 pm at the Luther Burbank Center for the Arts located at 50 Mark West Springs Road (behind the Sutter Hospital). Dollars & $ense focuses on our new initiatives for the year and broader trends in the grape and wine marketplace, both in the U.S. and globally. We also release the Annual Sustainability Report detailing Sonoma County’s amazing success towards the goal of becoming 100% sustainable by 2019. As the North Coast’s longest running and most widely attended wine industry event for grape growers and vintners, Dollars & $ense attracts an audience of more than 500 growers, vintners, and wine professionals and is widely covered by local and national media outlets. The trade show features more than 60 local Sponsors and agencies exhibiting tools, new technologies, resources, and professional services. If you have any questions about the event or are a business interested in exhibiting at the 2019 Dollars & $ense please email Alisha Basich, Business Development & Programs Manager at [email protected].